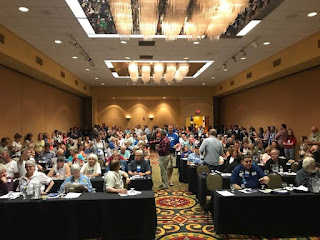 Those who attended this weekend's Democratic Party of Wisconsin (DPW) state convention were faced with a situation we rarely encounter these days - an election where more than one of the candidates running actually seemed like a good choice (not the least worst choice, but a good choice). To be sure, there were some not so great choices (defined here as those who want to close the party to progressive, new voices and ideas), but overall, it was nice to know that there are people of all ages, incomes, colors, genders, and situations all around the state who believe in government, public service, social investments, and our state's motto, Forward (and its predecessor, "Civilization Succeeds Barbarism")! Maybe the best thing that happened was the overwhelming turnout for the organizing meeting of the DPW Progressive Caucus. Founded by Matthew La Ronge of Stevens Point, who was elected as chair, the new caucus attracted more than 200 party members. They packed a conference room to elect officers and agree a constitution. Despite some efforts to stall the finalization of the caucus, those who attended overwhelmingly agreed that we want and need a Progressive Caucus. We were told that the final steps in the process, approval by DPW officials, was a probability. If you are a party member and would like to be part of this caucus, please call 7153038479, contact them on FB Messenger, or email us and we'll make sure to connect you with the group. If you are not a party member, see below**. 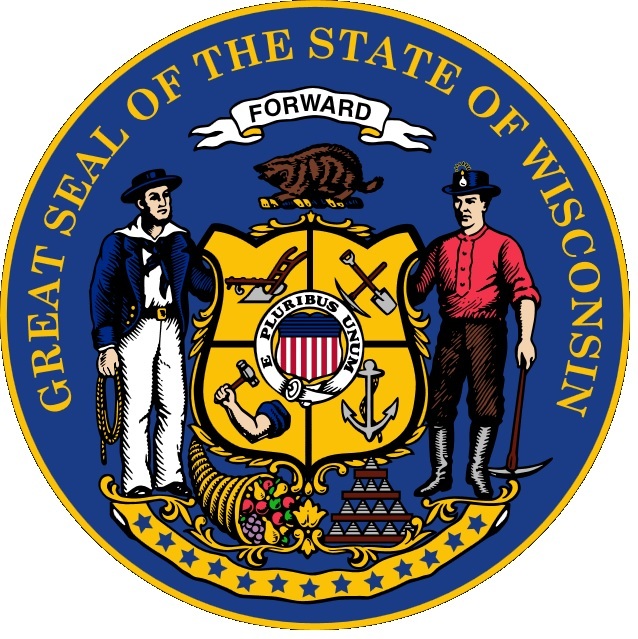 At a pre-convention meeting of state progressives, Nate Timm, John Stanley, and others affiliated with the Wisconsin Grassroots Network talked about the work they have already undertaken to organize and motivate progressive minded voters across the state. 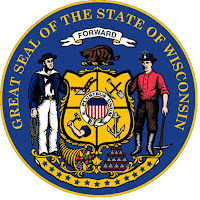 One exciting initiative is the Wisconsin Sign Info project which produces yard and barn signs on specific issues and directs people to a website where more information is given. If you would like to help with WISignInfo.com or any other grassroots project, please complete the form at their website. We may also have several good candidates running for governor very soon. Many Kathleen Vinehout for Governor stickers and signs were in evidence at the convention. Vinehout, state senator from District 31, ran in the 2012 Democratic primary (after the recall) where she came in third. She did not run in 2014 due to injuries suffered in a car accident. Over the weekend, Madison Mayor Paul Soglin also indicated he might be interested in running for governor. ** We have an opportunity to change the make up and the direction of the state party and the national party. This means we can help to choose good candidates, help to ensure free and fair primaries, help to demand financial transparency and accountability, and work to remodel the party into one that truly represents the interests of workers, farmers, students, public servants, parents, children, the elderly. immigrants, and all citizens of every creed, color and gender. You can join every other advocacy or activist group you want, but I believe unless you join and get active in the party that produces the candidates we vote for and approves their agendas, you are not doing all you can to work for a progressive future. The people need to choose the candidates and the agendas need to reflect the needs of the people. The La Crosse County Democratic Party will hold its annual picnic/fundraiser on Monday evening, June 19 at 5:30 p.m. at Copeland Park. Brats/dogs and beverages will be provided. Bring some food to share. Suggested donation is $10 per person. Many local elected officials will be there and you can talk about your concerns and ideas with them. You can join the party at this meeting if you wish. If everyone who votes for, works for, and/or donates to candidates would join the party that sponsors them, we will have a better chance of ensuring that those candidates represent our interests and win.